This year, ring in the harvest festival of Baisakhi with the inspirational film based on the life and works of the Guru Nanak Sahib titled, Nanak Shah Fakir. Akshay Kumar along with Oscar-winner Resul Pookutty, producers of the film Harinder Sikka and Samar Sikka and members of the Shiromani Gurdwara Parbandhak Committee (SGPC) launched the trailer and unveiled the poster of the auspicious film at a special event in the city. 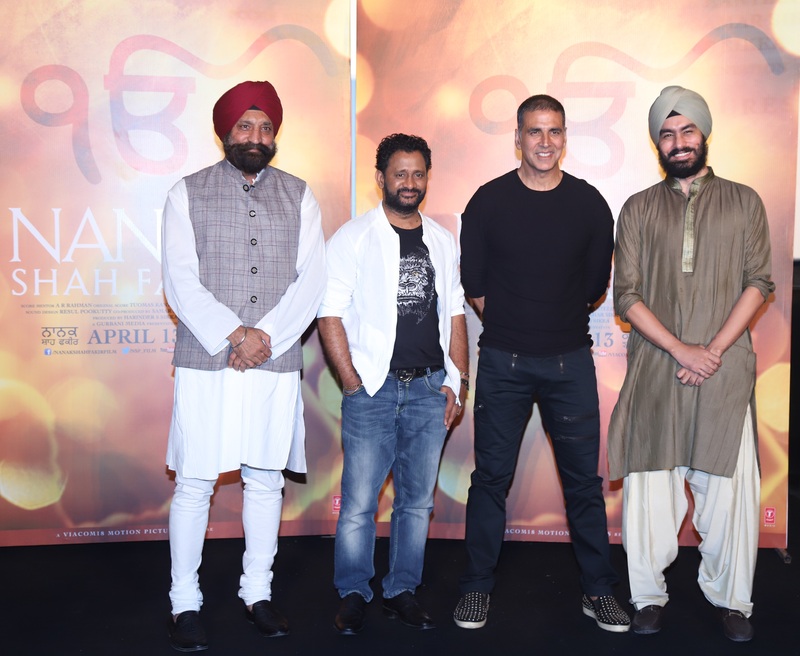 The film spreads the message of ‘Ik Onkar’ (there’s but One God), and Akshay Kumar shared his view on the belief and commended the producers of the film. 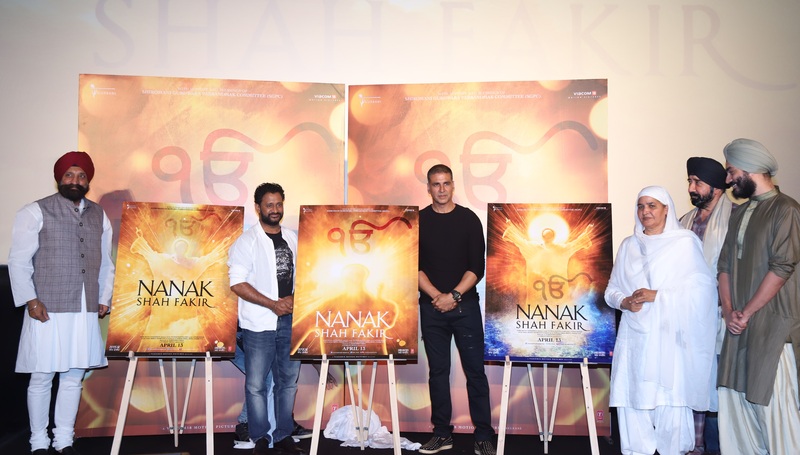 Appreciated at prestigious international film festivals like Cannes, Sikh Film Festival (Toronto) and Sikhlens Film Festival (California), Nanak Shah Fakir has beautifully portrayed the teachings of the revered founder of Sikhism, Guru Nanak Devji. Produced by Harinder Sikka of Gurbani Media Pvt. Ltd., the film releases on 13th April 2018 and will be distributed by Viacom18 Motion Pictures. 15 queries in 0.414 seconds.